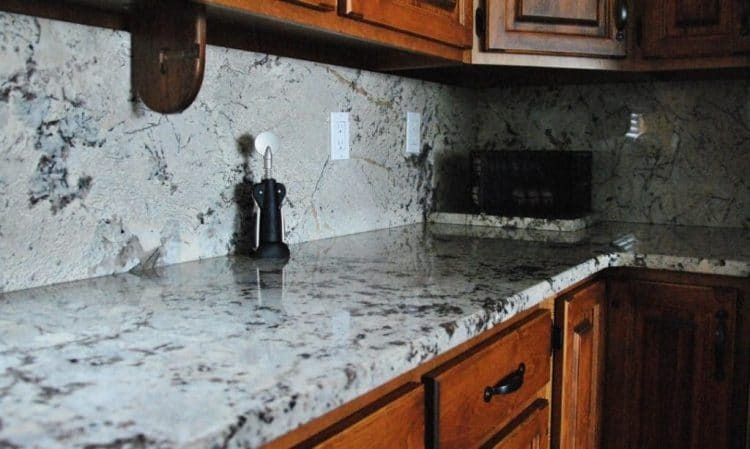 Thinking about using black and white granite countertops in your new kitchen or bath? If you like something that looks elegant and stylish for your kitchen, then why not try black and white granite countertops in Atlanta? Black and white countertops are classic that’s never out of style. Regardless if you want a contemporary or traditional house, granite is a great choice for kitchens thanks to the palette of colors, which perfectly fit a black and white scheme with an elegant and fresh appeal. Sophisticated spots and stylish can be made with black granite. Take advantage of the leather finish since it provides the soft appearance of the natural stone. The contrast of white and black countertops with some colors including yellow or red can make kitchens, which are both exquisite and dramatic. This kind of color combination makes a bold visual statement, which is in fashion for a lot of years. 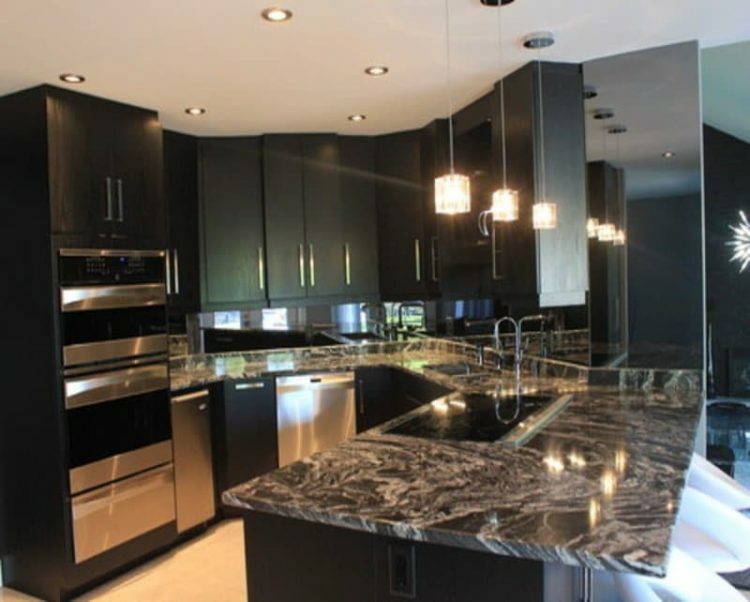 Black granite countertops always add a luxurious feel to kitchens. Regardless if you have your preferred theme or you want a modern and contemporary look, these would fit into any certain style. Also, they’re an excellent option if one wants to change colors or styles or do not like to feel locked into a certain look. They look great with any paint, flooring or style of cabinet one chooses. Black granite countertops have almost universal appeal to home buyers who are searching for good quality and style in the house they purchase. They are not the only a trend that would go out of fashion. Due to its practicality and beauty, black granite is timeless. This makes it a good selling point time down the road. The classic kitchen may achieve a modern edge by using black glossy granite countertop. Black may be balanced through using the dark slate tiles for flooring. This effect may be continued by selecting white accessories. On the contrary, thanks to the black and white granite countertops, your kitchen might seem bigger than it is. You may select a black color to the kitchen island as well as pure white for the wall cabinets to not reduce its visible size. White granite countertops are the ideal product for modern kitchen designs. The veins of the natural stone give every slab with the original look. The white colors do not affect the maintenance, durability, and beauty of kitchen countertop. But rather, white granite countertop is homogeneous and versatile, which fully adaptable to projects. You may add lights and a feeling of space to your kitchen with white granite. You can try using a strong color on a wall to make contrast and feeling of harmony. White kitchen brings a positive charge of freshness and energy. Creamy granite makes the kitchen very elegant and attractive. Black and white granite countertops may use other colors like grey, which keep the space feeling comfortable and warm. Fresh white walls and soft grey cabinets keep the kitchen feeling welcoming while the black granite countertops add a modern feel to the room. If you are confused between black and white granite countertops, you can ask for help from professionals or take for consideration of your home’s décor. Looking to buy countertops in Atlanta area? Art Stone Granite & Marble is highly regarding as one of the best granite companies in Atlanta. With hundreds of 5 Star ratings, one of the fastest turnaround times, great pricing, and high quality craftsmanship and materials. Granite Countertop Maintenance: The Truth.